After years of complaints and pressure over the BBC's blatant bias against Israel in all aspects of programming, but more particularly News coverage, the BBC commissioned the Balen Report. The Balen Report is a document written by the senior broadcasting journalist Malcolm Balen in 2004 examining the BBC's coverage of the Israeli-Palestinian conflict. The report was commissioned by former BBC Director of News, Richard Sambrook, following allegations of anti-Israel bias. A number of people requested copies of the report under the Freedom of Information Act 2000. The BBC rejected these requests on the grounds that the report fell under a derogation in the FOI Act: "Information held by the BBC is subject to the Freedom of Information Act only if it is 'held for purposes other than those of journalism, art or literature'." The BBC contended that as an internal report aimed at checking its own standards of journalism, the report was held for purposes of journalism. The BBC's position was challenged by Jewish activist, and consultant commercial solicitor at London firm Forsters, Steven Sugar, who appealed initially to the Information Commissioner (who ruled in favour of the BBC) and then to the Information Tribunal (who ruled that the report was not held for purposes of journalism). 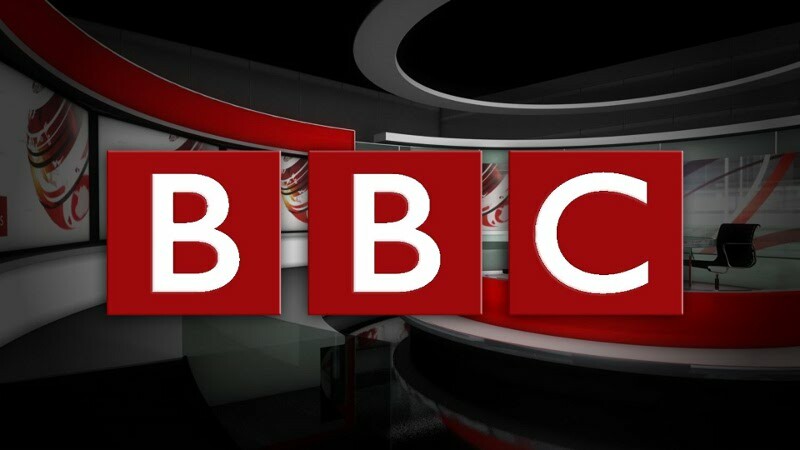 The BBC appealed against the decision of the Information Tribunal to the High Court on two grounds: that the Information Tribunal did not have jurisdiction to hear an appeal from the Information Commissioner in this case and that even if did its decision was flawed as a matter of law. The High Court decided that the Tribunal did lack jurisdiction and rejected Mr Sugar's challenge to the Commissioner's decision. The High Court did not consider the BBC's second ground of appeal. Mr Sugar's appeal to the Court of Appeal against the High Court's decision on the jurisdiction question was dismissed but his subsequent appeal to the House of Lords (then the highest court in the UK) was allowed by 3 votes to 2 on 11 February 2009. Thus the Tribunal's decision in Mr Sugar's favour was reinstated. The BBC retained its second ground of appeal and the case returned to the High Court on 2 October 2009, when Mr Justice Irwin ruled in the BBC's favour. His decision was that the information requested was held 'significantly' for the purposes of journalism and therefore was exempt under the Freedom of Information Act. On 23 June 2010, at the Court of Appeal the Master of the Rolls, Lord Neuberger, Lord Justice Moses and Lord Justice Munby upheld that decision and rejected Mr Sugar's appeal. The Daily Mail and others have reported that the BBC may have spent up to an estimated £200,000 in an effort to withhold the report, and noted that some BBC chiefs have been accused of wasting licence fee payers' money. Conservative MP David Davis called the block "shameful hypocrisy" in light of the corporation's previous extensive use of FOI requests in its journalism. In August 2012, the centre-right political website, The Commentator revealed from a Freedom of Information request, that the BBC has spent 'at least one third of a million pounds' in legal costs. The actual figure of £332,780.47 does not include BBC in-house staff time or Value Added Tax. "The BBC's action in this case had nothing to do with the fact that the Balen report was about the Middle East - the same approach would have been taken whatever area of news output was covered." "It is sad that the BBC felt it necessary to spend hundreds of thousands of pounds of public money fighting for three years to try to load the system against those requesting information from it. I am very pleased that the House of Lords has ruled that such obvious unfairness is not the result of the Act." Why does the BBC propagate a skewed version of reality? A fascinating explanation from Janet Daley, writing in the Telegraph in October 2013, during the arguments about regulation and freedom of the press. So this is where the bigger question comes in: what is the dissemination of news for? For the BBC - by which I mean, for those who decide these things at the corporation - there is little doubt that the function of news broadcasting is to enlighten the public. I use that word advisedly, in its specialised sense, meaning not simply to inform but to "free from prejudice and superstition". BBC news output is specifically designed to counter what it sees as ignorance and popular prejudices. Its coverage of issues in which it believes such prejudices to be rife - immigration, for example - is intended to be instructional and, specifically corrective of what its managers think of, and describe openly in conversation, as the influence of the "Right-wing press". It is almost impossible to exaggerate the loathing that the BBC feels for the Daily Mail - and its readers. I once remarked at a corporation seminar on the visceral contempt that I had heard BBC news personnel express for "Right-wing" papers, the Mail and the Sun in particular: had it occurred to them, I asked, to compare the relative circulations of the papers which they despised, with the ones they embraced (ie The Guardian, The Independent, etc) and to ask themselves what proportion of the licence-fee payers they were serving? But, of course, that was missing the point. The BBC approach to news is aimed precisely at those people who read the papers that are hated by its staff. It is intended to offer an alternative vision of reality in which immigration is not a threat to anyone, patriotism is a joke, religious belief (as opposed to ethnic identity) is not taken seriously, conflicting cultural values never create social problems and government spending is inherently virtuous. The unabashed dissemination of this highly political official viewpoint is justified on the grounds that it is needed to balance the influence of scurrilous newspapers. One might ask, of course, what would happen if the "Right-wing press" really was extinguished: would the BBC then feel it could drop its social engineering function? Under the most serious peace-time threat to open and uncensored expression in centuries, the news media are plunged into a bloody bout of gratuitous self-harm. But what they are actually engaged in is a political argument about whether the purpose of journalism is to report the world as it is and to reflect the perceptions of people as they are - even if the results are sometimes ugly or unfair - or to purvey an idealised view of what life might be like if everyone felt and behaved differently. A large portion of the world was subjected for several generations to news media that tried to coerce its populations into seeing the world as ideologues believed it should be: it didn't work out. Britain, on the other hand, has had an irreverent, cynical and sometimes cruel tradition of social comment for a very long time. And we are still here. Lesley Klaff, senior law lecturer at Sheffield Hallam University, says the disproportionate attention given the Israeli-Palestinian conflict by the BBC, and the anti-Israel bias of its reports suggest it is institutionally antisemitic." Speaking on how British media coverage of Israel affects British Jews, Klaff described at a forum organized by BBC Watch last month at Finchley United Synagogue in north London a BBC radio, television and online effort to skew news reporting in favor of the Palestinian point of view. She cited one glaring example in a BBC website headline that followed the murder of two Israeli Jews by an Arab terrorist at Jerusalem's Lion's Gate, which read: "Palestinian shot dead after Jerusalem attack kills two." Between April 2011 and November 2013, the BBC secretly obtained about three million pounds in grants from the European Union. The BBC annual reports bear no trace of it, merely referring to 'other grant income'. This information had to be prised out of the BBC, using a Freedom of Information (FoI) request lodged forÂ The Spectator. The FoI response confirms that BBC staff applied for, and accepted, EU funds. This shady deal came to light as Britain was drawing close to an IN / OUT vote on continuing membership of the E.U. The BBC bias in favour of the E.U. is most inappropriate!